The Martina Gebhardt Sage Skin Care line offers purifying, gentle care for oil-prone, blemished, large-pored, acne or combination skin. 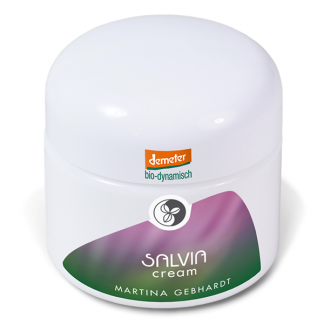 The Martina Gebhardt Sage Skin Care line offers purifying gentle care for oil-prone, blemished, large-pored, acne or combination skin. With key ingredients of Sage, Plantago, Mint and Lemon Balm which help regulate and balance the skin’s sebum production, and restore harmony to it’s natural protective layer. The Salvia products are specifically designed for skin that needs to be detoxified and purified, while still gently protecting and nurturing it. The Trail Kit is perfectly proportioned for travelling, introducing yourself to the Sage range, and makes the perfect gift.